This is the first game in a pair that teaches you Daily Routine vocabulary. Wake up and start your day. Is this daily routine similar to your own day? 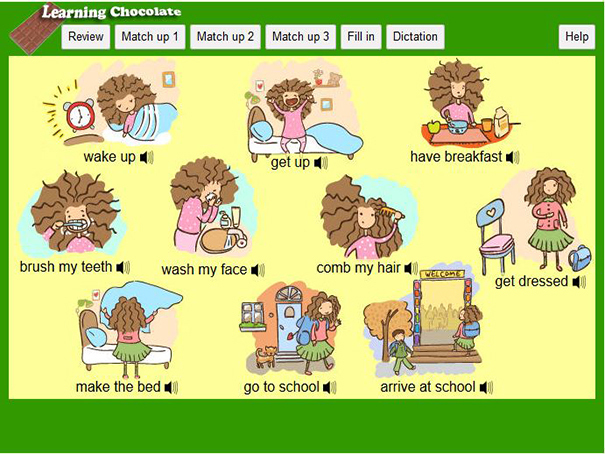 Learn the vocabulary phrases, including the pronunciation and the written form and play the matching games to test your new understanding.